The American workforce can be described in many ways: driven, diverse, tenacious and dedicated. It can also be described as incredibly stressed out! All these reasons are perfectly logical. But they are also incredibly flawed. 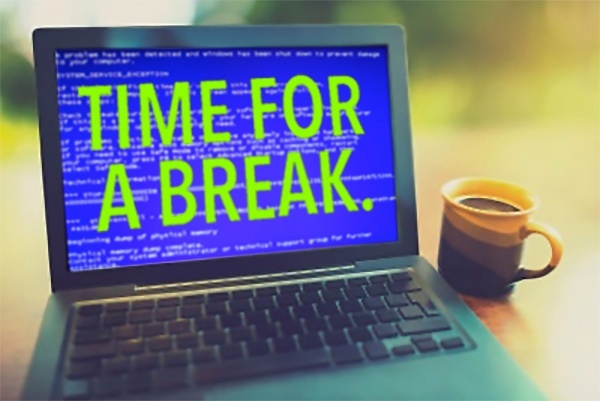 There are several key reasons for taking your vacation time actually enhances your chance for advancement and is the key to success at work. There’s only so long a person can keep performing at the peak of their abilities without time to rest, recover and regroup. If you need inspiration, you need to look no further than at how elite athletes use rest to enhance performance. Just as they must be careful not to overtrain lest they suffer from burnout and staleness, so too must the dedicated employee. And burnout doesn’t only affect your mood, the health implications are real. In order to remain healthy, productive and effective you have to learn to step back to recharge. Just like a car battery, you’re valuable only as long as you’ve got a full charge. Even if you’re not a fan of musical theater, chances are pretty high that you’re familiar with the phenomenon that is Hamilton: An American Musical. And if you’ve heard even one interview with the show’s creator, Lin-Manuel Miranda, then you know that he was inspired to create the show after reading Ron Chernow’s biography of Alexander Hamilton, while on VACATION. What Miranda thought would be an interesting beach read, turned out to be the seed for an amazing creative breakthrough. For a business related example, you need to look no further than Kevin Systrom, who dreamed up the idea for Instagram while laying on the beach. Now, I’m not suggesting that taking vacation will lead you to write the next great American musical, or the next disruptive tech idea, but there is an important lesson to be taken from these examples. 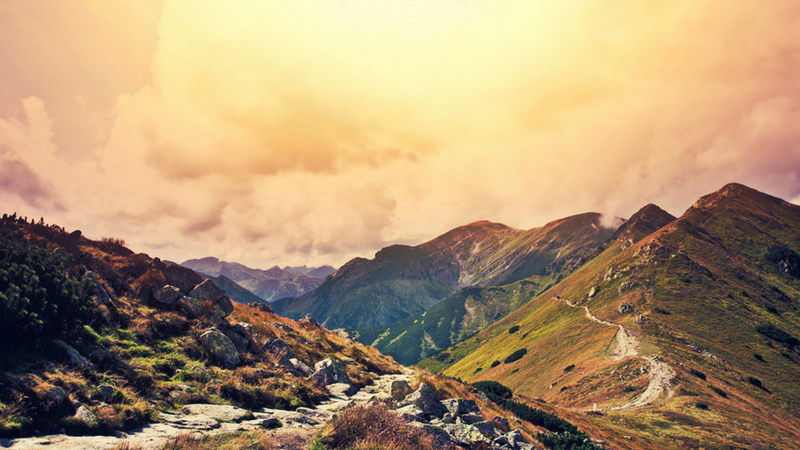 Allowing yourself time away from the demands of the office, of deadlines, and day-to-day business makes room for your mind to wander. Science has given us very convincing insight into the virtues of daydreaming, and the impact it has on creativity. It’s your ideas that make you stand out at work; give yourself the time and space to dream some new ones up. Relationships are everything in the workplace. No matter where you are on the corporate ladder; trust, faith, and cooperation among team members are key to success. And just as one weak link can threaten the entire chain, so too can one burnt out, exhausted, running on the empty employee. By taking vacation days you are not only taking care of yourself, but you are also presented with the opportunity to enhance the bond you share with your team. Planning coverage, or training someone up to watch your desk fosters cohesion and cooperation. A word of warning here: if you don’t feel like you can trust your co-workers or manager to ensure things run smoothly, it might be time to look for a new placement! Project Time Off found that “People who take all their vacation days have a 6.5% higher chance of getting a promotion or a raise than people who leave 11 or more days of paid time on the table.” While this may fly in the face of conventional logic, the reason is simple: managers perceive happy employees as more productive. Now, this isn’t to say that taking vacation time is a magic salve guaranteed to fix everything that ails you, but it can give your brain and your body important time to recuperate and gain some new perspectives. If you want to know how to get ahead at work, begin with taking some well-deserved time off. If nothing else can convince you, not taking time off means that you are spending those allotted days working for free. You may be the most dedicated employee or the hardest working team member, the one who doesn’t think twice about working overtime in order to get the job done, but if your boss flat out asked you to work without compensation for 10-12 days a year, would you? If your goal is to get ahead, get that job promotion, prove yourself a great employee: you owe it to yourself, your co-workers and your boss to take time off, feed your creativity and rest your body. For some great vacation ideas that don’t have to cost a lot of $, check out this list of the 16 Best Affordable Destinations in the US. 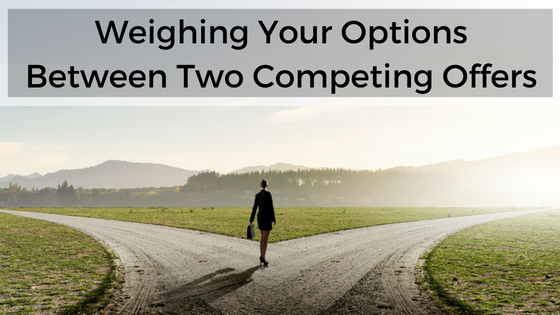 You’ve been looking for a new job, and now you’ve got not one, but two competing offers, with each presenting certain benefits that the other doesn't. The first thing you should do is just take a moment and remind yourself that some people would riot to be in the position you are in. Now, let’s break down some points to help you evaluate how to best handle the situation. When presented with two offers, it’s natural to start comparing them immediately. However, it’s not wise to do so until you have a physical copy of both offers. You want to be able to weigh several vital factors, such as health benefits, vacation time, maternity leave, commute time against each other. All of these important data points should be measured as concretely as possible. Also remember, without a written offer, your negotiating power is limited since you're basing all of your facts off a verbal agreement. So get it in writing and don't forget to read the fine print! When you encounter this kind of situation, it’s common to ask yourself if you should tell one company about the other offer. In some cases, one offer may require a decision before you've received the specifics from the other proposal. 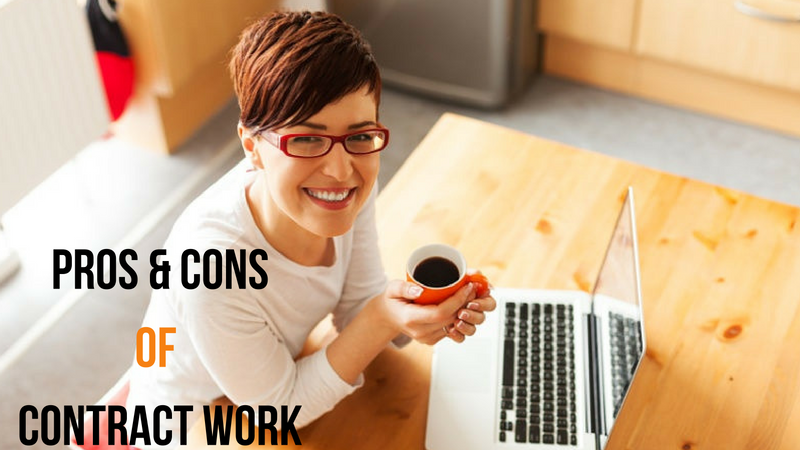 If you have the opportunity to review both offers without spilling the beans than you should do so. It’s possible for a company to feel as if you're trying to shake them down or force them into a bidding war by revealing the other offer. You will always run the possibility of them saying no or stripping the deal; however, hopefully, they’ll respect you for being honest. And in the end, you can thank them for making your decision a lot easier. Once you have both written offers in hand, you should start with writing down what specifically you want from the new job. This shouldn't be a quick process where you immediately run to the offer with the highest salary. You’ll be spending a good deal of your time in this new position, so make sure to consider all factors and not just the obvious ones. To make this process a little easier, consider making a S.W.O.T analysis or another form of a comparison grid. Before considering the negatives, start mapping out all of the benefits from each proposal. Only after you’ve compared the potential benefits is it time to move on to review the negatives. Factors, such as work environment, travel distance, and your overall happiness should be given the utmost consideration. The simple act of physically writing them down allows you to grasp a better understanding of the benefits of both offers. Take a break. After all, it’s what you do when you need to blow off some steam or if you've hit a rough patch at work. It’s essential that you give some yourself some time to think and clear your mind. When you're stuck in one way of thinking, find some sort of distraction, whether it be watching a movie or reading a book. Just make sure you get out, let loose, and let the two offers be the last thing your mind for a little while. Though this kind of situation can become stressful, you must ultimately choose what feels right for you. Consider everything that is important, make your decision, and never look back. We all have that inner wisdom lying in the bottom of our stomach -- Listen to it. Completing your everyday tasks just isn't enough when it comes to getting under your boss's spotlight and landing a promotion. With everybody in the workplace showing up to complete their daily tasks, what makes you stand out? In order to get promoted, you must get the attention of your employer, and in order to do that, you must differentiate yourself from the rest of the team. 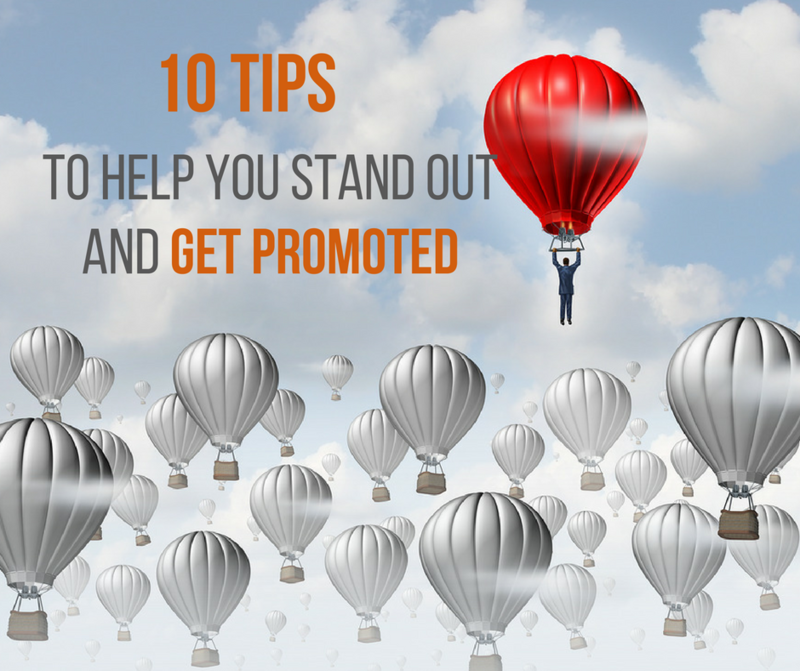 Here are 10 tips to help you stand out and get the promotion you deserve. Studies have shown that human senses and brain cells are triggered when someone is looking at you, thanks to a phenomenon commonly known as a “gaze detector.” Whether it be a one-on-one exchange, or a regular conference meeting, when conversing with your employer you have to maintain eye contact. A constantly shifting gaze or downcast eyes do not send the message that you're present and focused. Don't forget, eye contact is also a strong indicator of a person's confidence level. And managers always appreciate a courageous and concentrated employee. Shakespeare once said “Better three hours too soon than a minute too late.” Nothing broadcasts apathy toward your job more than showing up late to work, even if that's not your intention. In most cases, it's an occurrence that could have been easily avoided, so take care to plan your life properly. When you're late, you are potentially decreasing work productivity for your co-workers. By getting to work early, you are illustrating your dedication to your job; an attribute employers love and can't easily ignore. To get the promotion, you must take initiative. This means going above and beyond your average work tasks and responsibilities. Don’t be intimidated by taking the lead and becoming a driving force behind your team’s productivity. Be open to work on new projects and look for opportunities to volunteer to help. Even if your boss doesn't immediately recognize how engaged you are, they’ll see it through your numbers and productivity. It's every employer’s dream to be able to call on someone and delegate a task with zero concerns on if it will completed in a correct or timely manner. When upper management delegates a task to you, that means they are putting their trust in your hands. Now it’s your job to make sure you deliver top quality work on time. Your capability to show up and and deliver are only a few of the factors that prove your ability to be trusted. If your supervisor is constantly looking to you and delegating tasks your way, you're doing something right. You have a voice, so you shouldn't be afraid to use it. An employee who gives their input on projects, and business activities is an employee who cares. And those who care, get rewarded. Whether it be during meetings or face-to-face interactions, don't be intimidated to get involved on relevant topics and let your voice be heard. However, you don't want to over step, so make sure you find a balance on when to pitch in and when to keep quiet. Some offices can sometimes sound like a high school cafeteria with the amount of gossip being passed around. Instead of the buzz being centered around the ‘popular kids’, it’s often revolved around business operations or a co-worker in the office. It's normal for individuals to vent about their problems and concerns, however, when you're in the office space, keep your nose clean. You do not need to be caught up in anyone else's drama or bad feelings. So when you’re in the office, keep your mouth shut and your eyes on your work. Time to turn the energy switch to level 1000. Put aside the morning's commuting nightmare, or the shoulder-check you received in the subway. When you walk into the office on Monday morning, put on a smile and wish everyone a good morning. Be enthusiastic around the office and provide a helping hand to your colleagues. Before you know it, your positivity will have spread throughout the entire building. Managers look to people who add to the office, and not those who look as if they dread their job. As you're aware, you won't be the only person working to get the new position. You need to stand out, and the most dominant differentiator is your skill set. Use your personal time to increase your skills by taking a class, or earning a certification in a relevant field. When your skills increase so does your value. So never stop learning, even if it means doing it on your own time. Every successful company has long-term plans or goals. All of the tasks that you and your team members are working on are all little variables to the company's big equation. 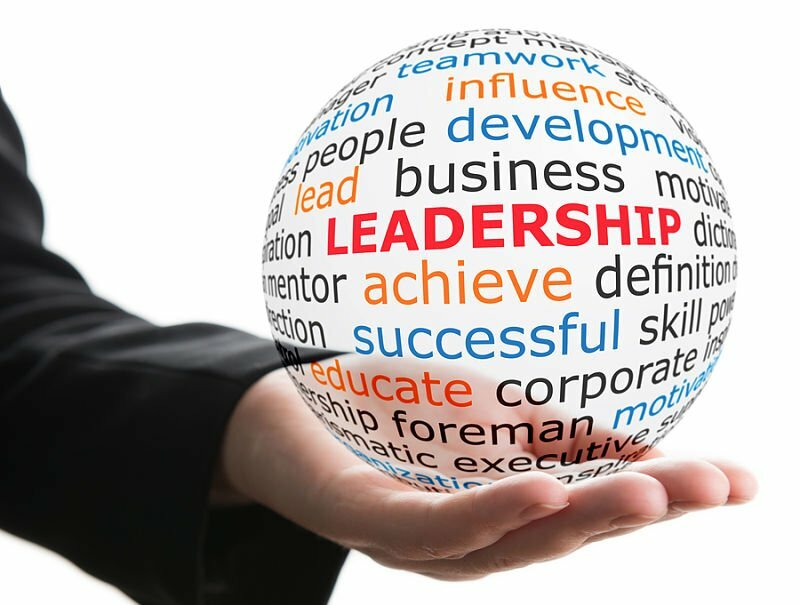 The goal is always at the top of upper management's agenda, so make it yours as well. Look for extra ways to contribute to the company’s big picture, even if it means you won't receive full recognition. And even if you don't get the next promotion that comes down the line, you'll be sending a very strong and clear message to your boss that you are a team player who is worth investing in. Everyone wants to hire a Rock Star, aka the perfect candidate. You’re looking for skills, experience and depth of training. But there’s another quality that makes someone stand out, and that’s their ability to communicate. So here are a few tips on how to improve your ability to find and hire candidates with great people skills. Designing a killer job description is the first way that you’ll start attracting talent with strong interpersonal skills. Be certain to highlight specifically what people skills you’re looking for. Do you need someone to be customer facing? Someone who can deal with complaints well? Or just someone who can work well in the office? Identifying exactly what you require and being clear about it will help attract the brightest candidates.. While a resume helps you find people with the necessary technical skills, it cannot necessarily tell you how proficient a candidate is with people. A resume that touts “good communication skills” isn’t a specific description of the candidate’s soft skills. So, start by looking for specific examples of their ability. Has the candidate headed up a team? Do they cite specific customer facing projects supported by metrics and data? Someone writing “skilled at dealing with a wide variety of people” indicates they’re aware of their ability to work with multiple types of personalities. The best way to see how a candidate communicates is to communicate with them. If they say they’re experienced in dealing with difficult customers, look to test that. Stage a mock sales call in which the customer gets angry or confrontational. Also observe how they communicate with others in your office. Are they able to easily communicate or do they falter and stumble? This is also a good way to see if the candidate, and their communication style, is a good fit with your organizational culture. As counterproductive as it sounds, someone who is able to argue effectively can be a great employee to put in front of customers. They can represent your company even in the most difficult settings.Candidates who show they can handle tough situations, and work to defuse even the most tense situation, are the people you want representing your company. Give them hypothetical arguments to make. Have candidates defend a previous decisions they made in another organization. Point out to them some hypothetical flaws. Ask them what argument they would make if you told them you didn’t think them a fit for the job. How they handle the stress tells you how they’ll handle it in the field. Every candidate should, of course, follow up after an interview. But if you're looking for people skills, look for those who include personal or especially specific information. Do they remember every person they met, from all levels in the company? Doing so is indicative of someone who is detailed oriented, and knows how to make an impression. People skills are what makes the difference between a competent candidate, and a real rock star. 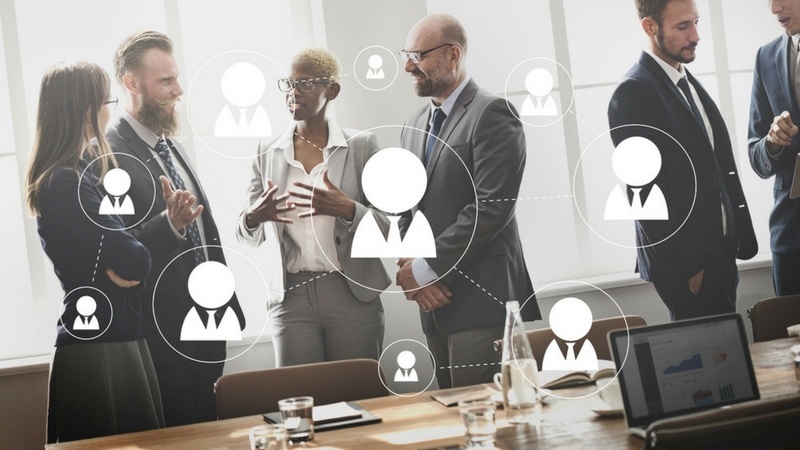 There may be plenty of qualified people out there who meet your technical qualifications, but it’s the great communicator who will help move your business to the next level. All these reasons are perfectly logical. But they are also incredibly flawed. There are several key reasons taking your vacation time actually enhances your chance for advancement. Everyone Needs To Recharge. There’s only so long a person can keep performing at the peak of their abilities without time to rest, recover and regroup. If you need inspiration, you need look no further than at how elite athletes use rest to enhance performance. Just as they must be careful not to overtrain least they suffer from burnout and staleness, so too must the dedicated employee. And burnout doesn’t only affect your mood, the health implications are real. Creativity Needs to be Fed. Even if you’re not a fan of musical theater, chances are pretty high that you’re familiar with the phenomenon that is Hamilton: An American Musical. And if you’ve heard even one interview with the show’s creator, Lin-Manuel Miranda, then you know that he was inspired to create the show after reading Ron Chernow’s biography of Alexander Hamilton, while on VACATION. What Miranda thought would be an interesting beach read, turned out to be the seed for an amazing creative breakthrough. For a business related example, you need look no further than Kevin Systrom, who dreamed up the idea for Instagram while laying on the beach. Now, I’m not suggesting that taking vacation will lead you to write the next great American musical, or the next disruptive tech idea, but there is an important lesson to be taken from these examples. Allowing yourself time away from the demands of the office, of deadlines, and day-to-day business makes room for your mind to wander. Science has given us very convincing insight into the virtues of daydreaming, and the impact it has on creativity. It’s your ideas that make you stand out at work; give yourself the time and space to dream some new ones up. Build Alliances. Relationships are everything in the workplace. No matter where you are on the corporate ladder; trust, faith and cooperation among team members are key to success. And just as one weak link can threaten the entire chain, so too can one burnt out, exhausted, running on empty employee. By taking vacation days you are not only taking care of yourself, but you are also presented with the opportunity to enhance the bond you share with your team. Planning coverage, or training someone up to watch your desk fosters cohesion and cooperation. A word of warning here: if, you don’t feel like you can trust your co-workers or manager to insure things run smoothly, it might be time to look for a new placement! Appear More Productive. Project Time Off found that “People who take all their vacation days have a 6.5% higher chance of getting a promotion or a raise than people who leave 11 or more days of paid time on the table.” While this may fly in the face of conventional logic, the reason is simple: managers perceive happy employees as more productive. Now this isn’t to say that taking vacation time is a magic salve guaranteed to fix everything that ails you, but it can give your brain and your body important time to recuperate and gain some new perspectives. $. If nothing else can convince you, not taking time off means that you are spending those allotted days working for free. You may be the most dedicated employee or the hardest working team member who doesn’t think twice about working overtime in order to get the job done, but if your boss flat out asked you to work without compensation for 10-12 days a year, would you? If your goal is to get ahead, get that promotion, prove yourself a great employee: you owe it to yourself, your co-workers and your boss to take time off, feed your creativity and rest your body.